The opportunity to grow a new specialty oilseed crop in Kansas offers potential for diversification for Kansas farmers looking for an alternative crop, or for new farming enterprises interested in cultivating industrial hemp. 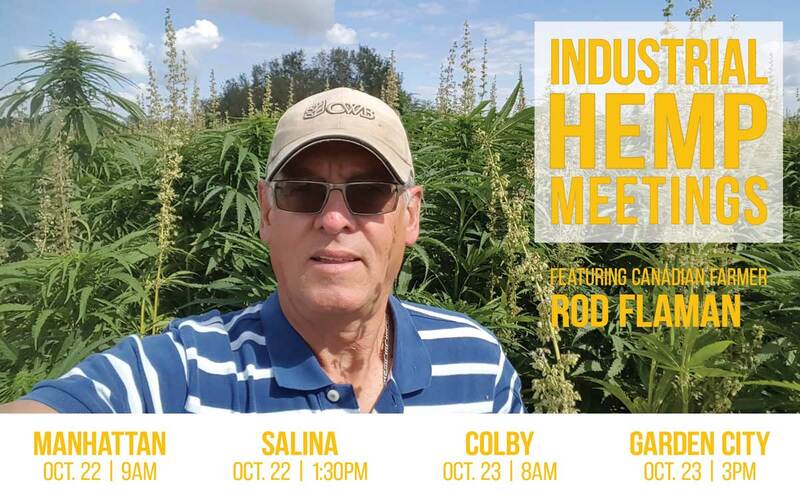 In a series of meetings across the state, Canadian farmer Rod Flaman shared how the Canadian hemp market has evolved and how he grows and markets his crop. 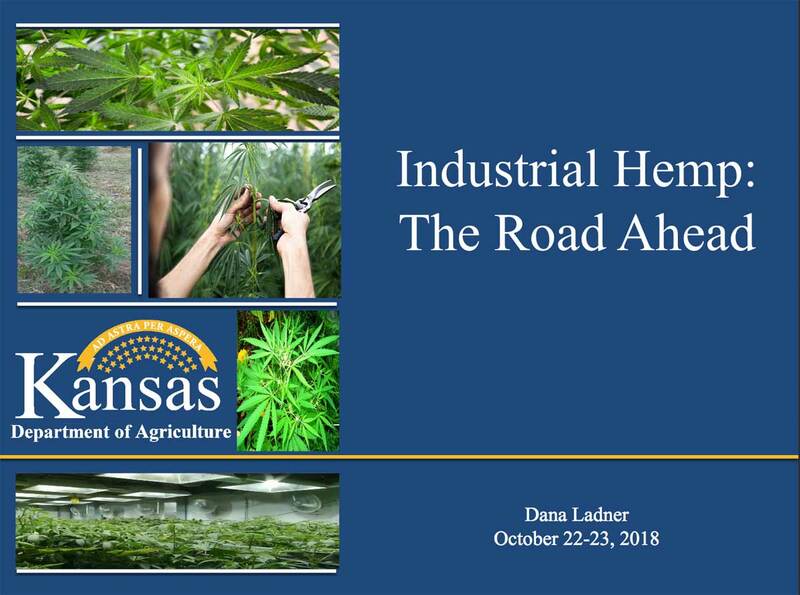 In addition to Flaman’s presentation, the Kansas Department of Agriculture provided an update on what is in the industrial hemp law, rules and regulations and how to prepare to participate in this new adventure. Stay up-to-date on Industrial Hemp! Sign up to get updates on the development of Industrial Hemp programming & opportunities in Kansas delivered to your inbox. Kansas Farmers Union video taped the meeting held on Monday, October 22 at the Kansas Department of Agriculture Headquarters in Manhattan. Like many farmers, Rod Flaman spends a fair amount of time thinking while sitting in his combine. Recently, hemp harvest had just begun, and he wondered if it would be on the upslope or the downslope of the seesaw trajectory that defined his experiences with growing industrial hemp since it was legalized in Canada in 1998. He also questioned the business acumen of a farmer willing to travel several thousand miles to give away hard-learned lessons to potential competitors in an already oversaturated market. It didn’t make sense. And yet here he was in Manhattan, Kansas, for the first of four meetings around the state devoted to reinventing an industry that had been virtually non-existent for 80 years. The meetings, sponsored by Kansas Farmers Union and Kansas Center for Sustainable Agriculture and Alternative Crops, were a response to Senate Bill 263, which was signed into law by Kansas Governor Jeff Colyer in April, and went into effect on May 3. The bill enacted the Alternative Crop Research Act, allowing the Kansas Department of Agriculture to oversee the cultivation of industrial hemp. From the start, developing the regulatory processes needed to carry out the act’s provisions were accelerated. Such processes normally take at least one year to complete, but staffers were given around seven months, or until the end of the year, said KDA Compliance Education Coordinator Dana Ladner. Other meeting locations included Salina, Colby and Garden City.